This is a nice property for those wishing to be in a quiet side of Bodrum but not too far away from the buzz of this destination. The 24-hour reception provides car rentals and shuttle services to Milas Airport, 30 km away. The bus stop opposite the hotel offers direct access to Bodrum?s centre, 6 km away. LocationThis property is located in Torba district of Bodrum peninsula. 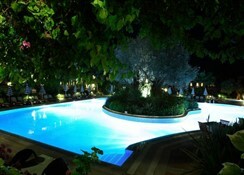 This area is a short drive away from the night life of Bodrum town center but in a quiet spot as well. 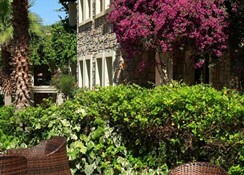 Set in a flowered garden full of olive trees, this hillside hotel overlooks Torba Bay and offers rooms with a balcony. The Hotel has an extensive spa and 2 outdoor pools. Distance4 kms to city centre30 kms to the nearest airport (milas-bodrum airport) RoomsThe rooms are medium sized neutrally decorated. 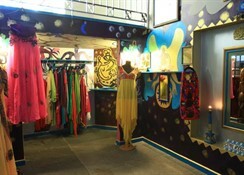 All rooms have satellite television, air conditioning, balcony or terrace, telephone, mini bar, safe and hair dryer. RestaurantThis is medium sized with an external area covered by the trees. It serves local and international specialities. ExteriorThere are various two storey villas covered with large stones. The villas are set amongst well kept gardens. LobbyThis is medium sized with a balcony overlooking the bar and the pool. 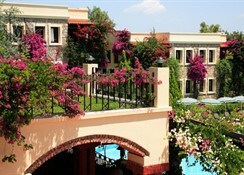 Escape to a laid back hotel set amidst a setting of botanical gardens with a stay at the Hotel Zeytinada. Found nestled on a hillside, the hotel boasts beautiful views across Torba Bay, and is the ideal destination for a relaxing break. This peaceful hotel is ideal for couples and families who want to stay somewhere relaxed, but within easy reach of the bustling local resort. Within the gardens you will find two outdoor swimming pools, both of which are enclosed by sun patios lined with loungers and parasols. Stylish and modern, Hotel Zeytinadaâ€™s 78 rooms offer somewhere elegant to stay. Every room is fitted with air conditioning, satellite TV, a telephone, safe, hair dryer, en suite bathroom and a balcony with garden or pool views. Certain amenities may be payable locally. 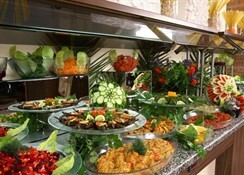 The hotelâ€™s main restaurant serves some authentic local cuisine and some international dishes. You can enjoy drinks and light bites from the poolside snack bar and in the lounge bar. Hotel Zeytinada sits on a hillside overlooking Torba Bay, within 400 metres of the sandy shoreline. The local town is filled with tourist amenities, from restaurants and bars, to shops and activity options. The cultural town of Bodrum is only four miles away.